I wrote a wordy post to talk about CPU with and without Intel VT-x or AMD-V. In the post I introduced VMLite that rescued my wallet for quite a big sum. In this post, let's save some key strokes and I will summarize by youtube the items you need to do to get VMLite running on your W7 machine, whether it's a VT-x enabled machine or not. The XP task bar is hidden. You can store it by pointing the cursor to right above W7 task bar. 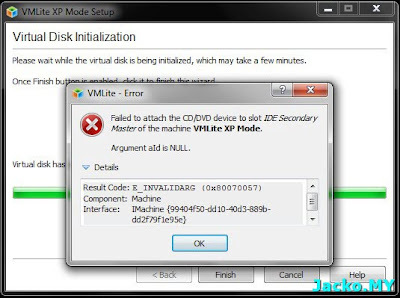 The drives in W7 are automatically mapped to H drive in XP virtual machine. Open H drive will get you to C, D and whatever drives you have on your W7 machine so you can still copy-paste files beween W7 and XP. One big weakness in current version of VMLite (3.1.2) is it does not support USB devices. So whatever USB hardware (thumb drive, dongle etc) you plug in will not be seen or detected by XP. Say if you plug in a USB thumb drive, the drive will not be listed in XP. But if you go to the H drive, you can still see and access it. But for USB dongle like USB 3G modem, it will not be visible in XPM until the next version release of VMLite. Over the video above you need to obtain XPM package via one of the options. The easiest way is to manually download the package from Microsoft site. Select the right system and language, then download the 500MB+ package to your machine. Make sure it's legitimate for you to download. Once downloaded, follow the video but select second option and browse to where the downloaded package is. 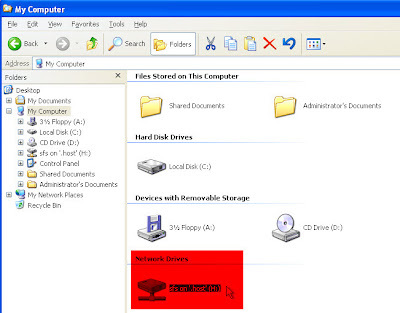 It's strongly recommended to select a non-system drive (i.e. 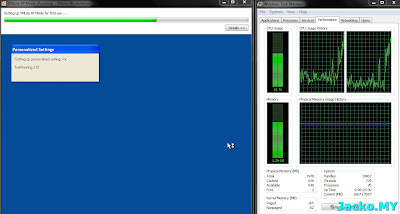 D drive) when VMLite ask where to save your XPM image files, the VHD file is >2GB in size. Then, sit back and wait. For my case, since I have been using an XP VHD image file for my Microsoft trainings, I imported the same image to be used as XPM. That's all! You're done. Yes, only a simple 1-2-3 step to get your XPM up and running in W7 with your legacy applications that are only XP-compatible. As expected, it eats up a lot of memory. 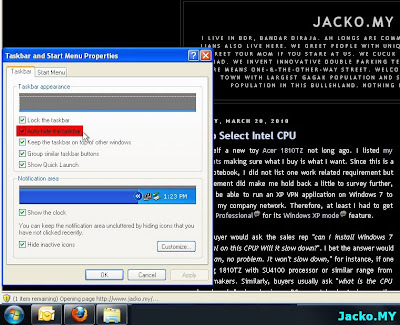 But W7 is still running smooth and the XP application shows no lagging. My 1810TZ is still on stock 2GB, it will be a relief once I add on another 2GB stick. Unlike Vista upgrade, upgrade to W7 is painless where you enjoy the latest W7 at the same time you don't lose your legacy XP. 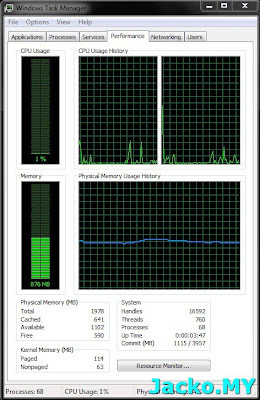 It may be a regret if you have bought a workstation with no support of VT-x but VMLite saves you from nightmares and helps you for a painless upgrade. P/S: here is the how-to guide in PDF format.